To install a geothermal heat pump in 2500 square foot home will cost between $22,000 to $27,000. This is double the price of of a conventional HVAC system, but the savings on utility bills will be beneficial in the long run. A geothermal heat pump can both heat and cool as well as provide domestic hot water with some models. Other options available with a geothermal heat pump include variable speed fans and two-speed compressors, which increase their efficiency in both performance and energy savings. The rugged systems require less maintenance, are quieter and have a longer life expectancy than other heat pump systems. Some manufacturers combine the best of both a geothermal and an air-source heat pump. These models are referred to as a dual-source heat pump. Although these units are more efficient than a standard air-source heat pump, they fall short when compared to a stand alone geothermal system. One advantage of a dual-source system is that they are often less expensive to install. Installing a geothermal heat pump does not come easy as the system can cost several times that of a traditional air-source system. However, you can realize a ROI “Return on Investment” for the additional installation costs in approximately five to ten years. Combine that with a life expectancy of 25 years for a geothermal heat pump’s interior components and 50 plus years for its exterior components and your savings can really add up in a hurry. Geothermal heat pumps are characterized into four groups. Three of the four named systems are of the close looped variety with the fourth being referred to as an open loop system. Several considerations must be made before choosing the right system for your home. Soil conditions, land space, climate and installation costs all come into play when choosing a geothermal heat pump system. These basic types of systems are suitable for both commercial and residential applications. Horizontal installation is a cost-effective method used in both new construction and sites with plenty of available land. Trenches are dug to a depth of at least 4 feet to house the tubing but can vary due to terrain and soil conditions. When space is limited for trench installation, a coiled version of pipe, referred to as a slinky is used that allows a shorter trench to house more tubing. Vertical installations are practical where land space may be limited such as commercial building sites and schools. This method of installation involves boring 4-inch diameter holes into the ground at approximately one hundred to four hundred feet in depth to house the loop of tubing or pipe. Each hole houses two sections of pipe that are joined together at the bottom by a special fitting called a U-bend to complete the loop. 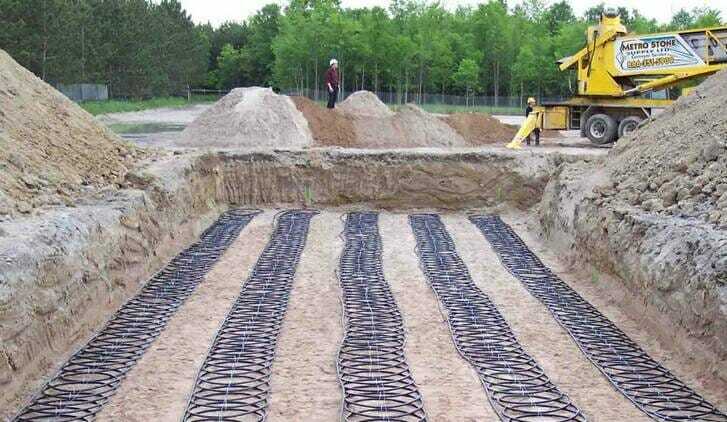 A horizontal trench is dug to house the run of tubing between the vertical holes and the heat pump. Sites with access to a lake or pond offer a cost-effective installation method. The pipes are run underground to the water source where they are looped at least 8 feet under the water’s surface. Open-looped systems require a body of open water or a groundwater source to provide the solution in the tubing needed for the heat exchange with the heat pump compressor. As you may have figured, the open-looped system is only a viable option when an abundant water source is available. The beauty of geothermal heat pump systems is that they can be adapted to combine with the best of traditional technologies to provide efficient heating and cooling systems in varying climates. These hybrid systems offer greater flexibility in extreme climates where weather conditions can vary significantly or in areas where a stand-alone geothermal heat pump is not practical.